I’ve mentioned before that the main reason we came to initially view our house was because of the garden. My husband knew it was a decent size and as we were planning a family home that definitely appealed to us. I don’t think either of us realised quite how big it was. 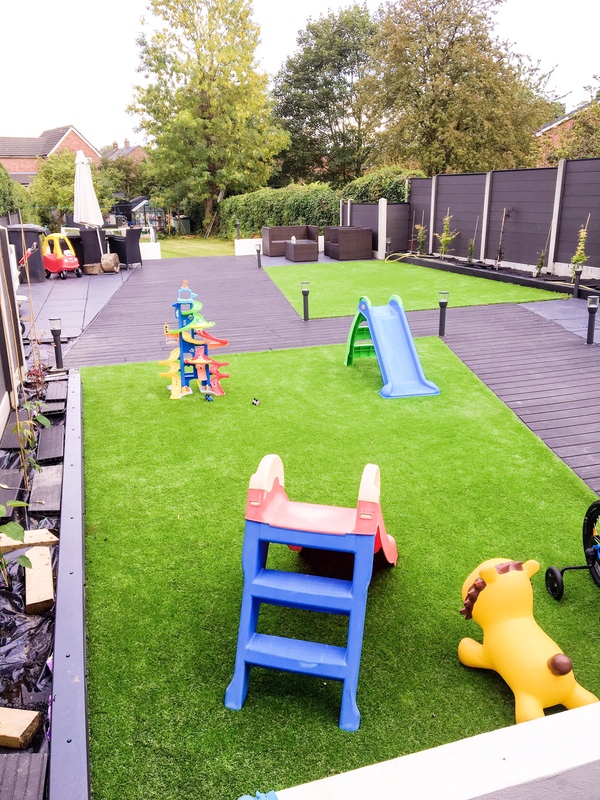 As lovely as it is having a big garden it can be very time consuming, and as busy parents of two little boys, who both work full time we don’t have the time required to dedicate to a high maintenance garden. When we were planning the extension one focus was bringing the outside and inside together but at the same time making the top half of the garden as easy as possible to keep in check. We had previously had traditional wooden decking which quite frankly had been a huge pain. It soon looked worn and grubby and often needed re-staining, and it was so slippery when wet it was a danger to be on. The new composite decking looks so much better and whilst it has had a jet wash on it to clear away the building work mess, it doesn’t feel like it will need constantly doing. I didn’t even know these existed but our builders suggested them and they look great and were so easy to install. No staining of wood is needed, just slide them in and you’re ready to go. If you have bushes acting as property dividers these are definitely worth looking at. One of my husbands most hated jobs was always cutting back the hedges. One thing that always drove me a little mad was having to cover up the garden furniture when it rained, or the mad dash to get your seat cushions to somewhere safe where they wouldn’t be soaked. 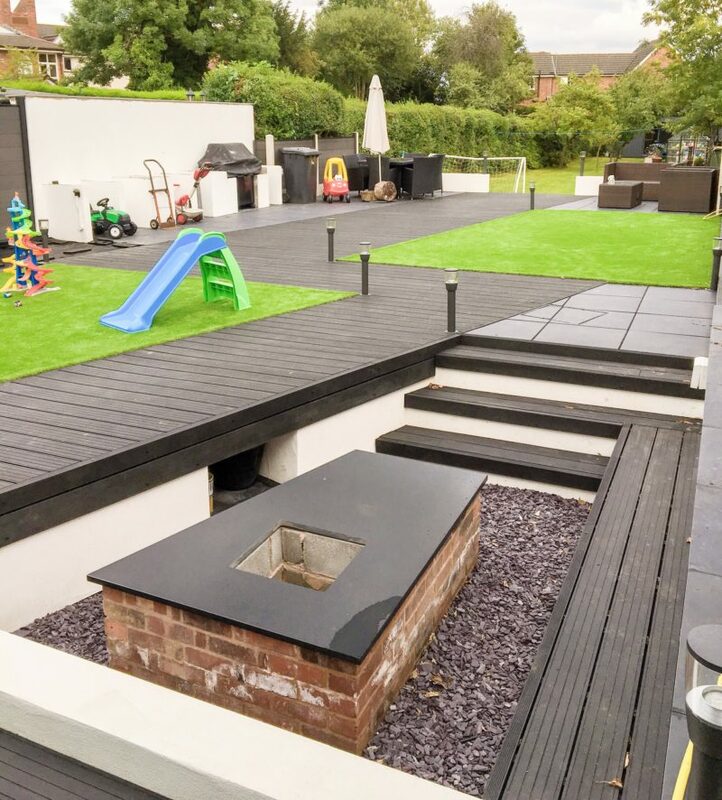 Our designer drew in a sunken seated area near the house which has been built out of bricks and composite decking. It’s waterproof, easy to wipe dry if you want to sit down after a rain shower and because it’s not wood, no staining or varnishing required. I have to admit I had my reservations when the words artificial grass were mentioned and probably pulled my face. 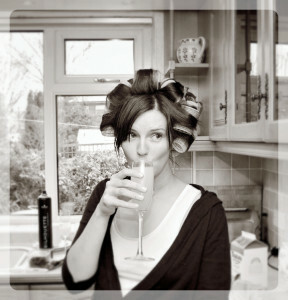 As we were aiming for low maintenance I was persuaded and I am so glad I was. It’s amazing! It feels like a carpet and looks fantastic. During the summer whilst the real grass was going brown from lack of rain our artifical grass looked lush and green. It makes for a perfect play surface for our boys and another great thing, no grass stained knees! Those are my top tips for a low maintenance garden, what would yours be? 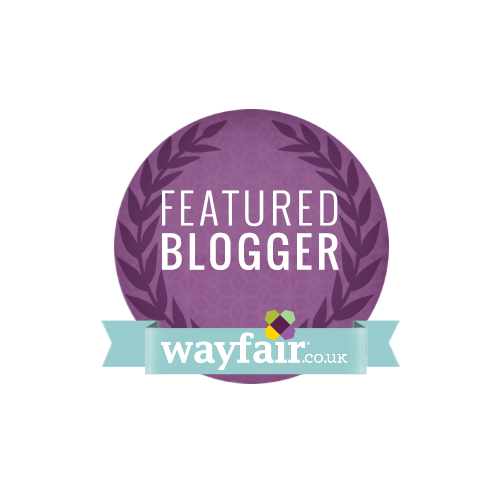 Hi Jo, lovely blog! Your garden looks very beautiful. And tips are amazing, thanks for letting us know about it. Keep sharing!